The results are in: You guys think caravan MOTs are a good idea! Well the votes from our poll have been counted and the majority of our readers think that touring caravan MOT’s are a good idea! 206 of the 357 people voted in favour of MOTs, although that works out around 58% – so opinion was definitely divided. As we reported in September, the European Commission has put forward proposals for changes to Periodic Roadworthiness Testing which includes the introduction of MOT style tests for caravans 4 years old and over. 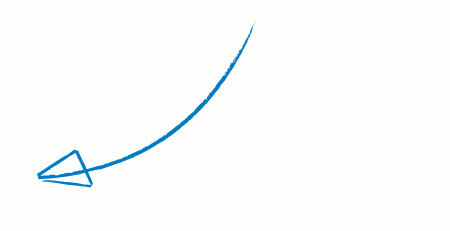 This could be adopted into UK legislation by December 2013. 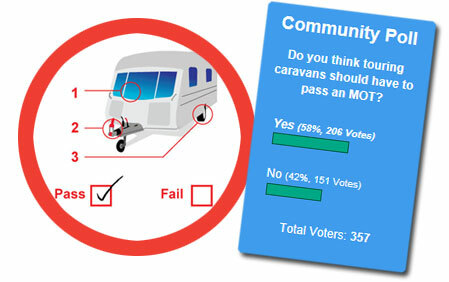 We’ll be sending your feedback and poll results to the industry’s trade body, the National Caravan Council. We want to thank everybody who voted and/or commented! We’ll keep people informed on if and when this proposal is adopted in the UK. Where is your favourite place to visit whilst touring in the UK? if my van gets a annual service that must count as a mot. Well well well there’s a surprise so the European commission has put forward proposals to have caravans take an MOT, yet another way to fleece the motorist, the vast majority of c/vans holiday in this country, bringing revenue to what ever area they go to, so we spend our money on fuel car/repairs and such, caravan servicing plus the running of our vans also the accessories, need I say more, we do not need a European anything or the UK Legislation poking their nose in, leave us caravanners alone, if this goes ahead the MOT stations will make a fortune from us,go and steal from some other large outlet, for a lot of family’s this is the only way they can holiday and give their children a bit of fun and see this lovely country we live in, LEAVE US ALONE WE DO NOT, REPEAT DO NOT NEED TO HAVE MOT’S ON OUR C/VANS, it would be just another act of piracy against the motorist. M.O.T. for caravans ???. Are you crackers?. Whats the point of £150 to £200 annual servicing if youll have to pay for M.O.T.s as well ?, When your van is serviced at a qualified place and your van is checked structually and chassis gas water and lecky are tested, then your service book stamped (this should be a legal requirement), then surely thats more than enough. Another money making bosh up methinks. all the best, John. A caravan mot? so how exactly would that differentiate from a service? Most people have their van serviced for insurance purposes, how exactly would an MOT work? I bet no one knows just another pile of jazz from a bunch of suits that are not likley to set foot inside a caravan. I think caravan MOT,s is a great idea; it is the people that merely kick their tyres wash the sides of their vans ( not cleaning the roofs) that say its a bad idea!! The ones that have their vans serviced every year well done to you,but surely servicing companies can include MOT as part ofthe service.I,m damn sure I would rather pay to know my £16000+ van is absolutely safe to tow ! more importantly the police should do their job better to stop the idiots that hammer past us at speeds of 70mph+ caravan wobbling all over the place. I think a more sensible way would be to check a caravan after it has caused an accident and then prosecute the owner if it was down to his negligence. But I suppose we will all end up paying out like we always do. i also do not think a mot on vans is required , it just needs to be serviced yearly , it can them be checked at no extra cost , the services cost enough as it is so to put extra on for mot is bit of a rip off . a service covers , brakes , elec , gas , etc what else could there be to check ? ?